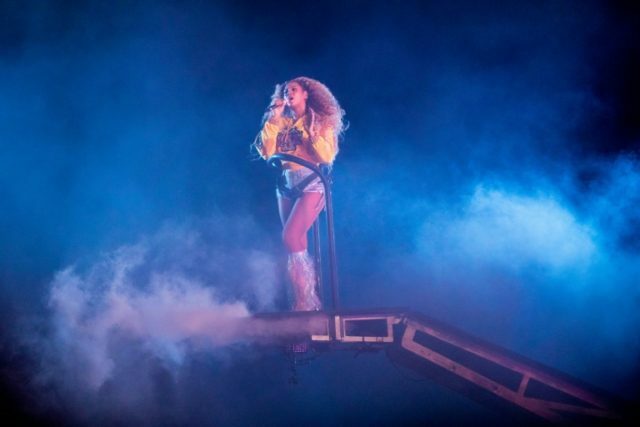 Indio (United States) (AFP) – Beyonce returned spectacularly to the stage Saturday with a joyous, homecoming-themed party at the Coachella festival where she delighted fans with a rare reunion of her former trio Destiny’s Child. Her husband, rap mogul Jay-Z, popped up on stage toward the end of her set to join in their song “Deja Vu.” But he turned out to be only a preview of a less routine guest appearance. After revving up the crowd with fireworks and the boisterous “Crazy in Love,” Beyonce offered a take on “Lift Every Voice and Sing,” the unofficial African American national anthem. Dancing first with mime-like body thrusts, with Byrne throwing his hands forward as if off-kilter on the Talking Heads classic “Same As It Ever Was,” the band took the shape of a campfire party as the sun set on the palm trees behind them. X Japan paid tribute to its two late members — guitarist Hide and bassist Taiji, who both died in apparent but contested suicides — with the song “Endless Rain” as well as holograms that reunited them on stage.